Last week was my partner Rob's birthday. I always find it hard to make cards for men and especially for Rob. 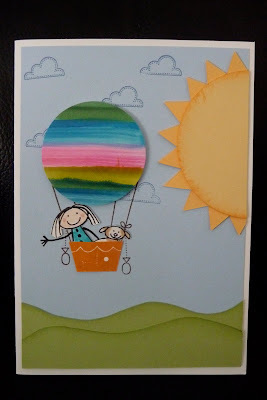 This time I was inspired by another card maker Helen who had a great entry in the Just Add Ink challenge #21. I loved the layout she used so I did something similar. 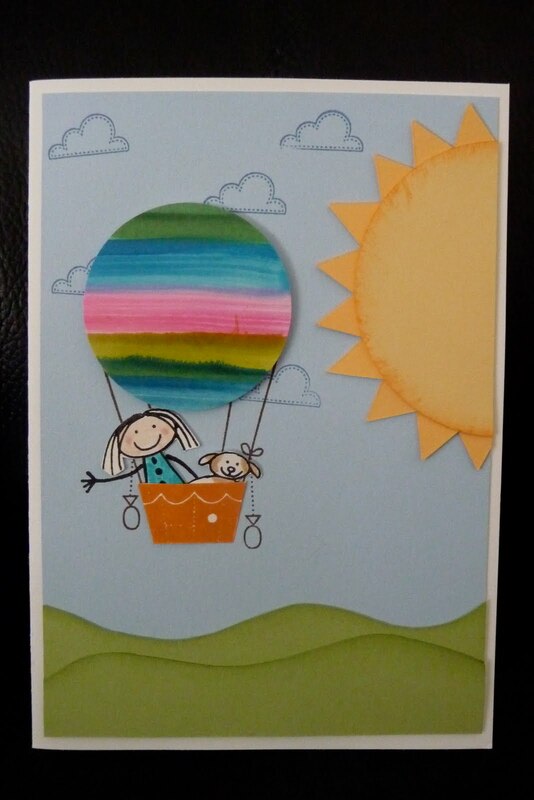 Here I am with our dog Ayla in a hot air balloon!